Reiki is a Japanese technique for emotional, spiritual and physical healing. 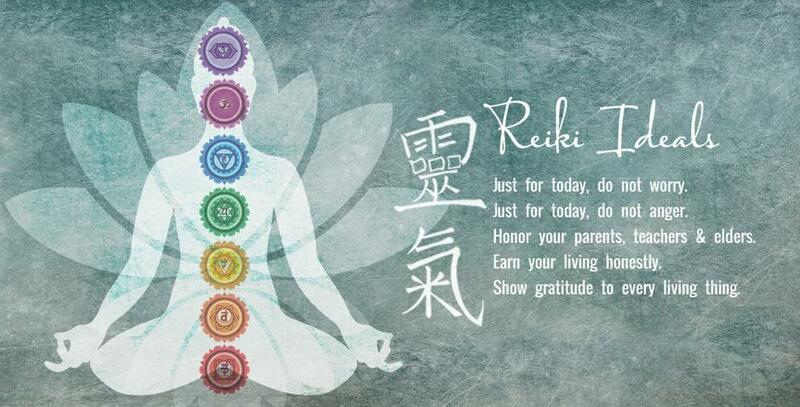 The word Reiki is made of two Japanese words - Rei meaning “God’s Wisdom or the Higher Power” and Ki, meaning “life force energy”(also known as Chi or Prana). Ki is the life force that flows through every living thing, including you and me. If your ki (or chi) is low, you will be more susceptible to illness, feelings of stress, anxiety or depression. If you ki is high, you are able to do more, be more present, experience more joy and fight illness and dis-ease. A reiki treatment is like a purposeful recharging of your ki. It is administered by “laying on hands” and treats the whole person, including body, emotions, mind and spirit creating many beneficial effects that include relaxation and feelings of peace, clarity, security and wellbeing. I studied under the wonderful Debbie Caknis at Zero Point Healing and qualified in September 2017. I practice from my home in Hout Bay and work with a strong intention to channel energy to the body to help it unlock its own natural healing abilities. I do traditional Reiki and include chakra work, crystals, sound and other modalities as needed. Through a combination of meditation, Reiki and massage, this powerful de-stressing treatment will help you to relax and unwind the tension built up over time. The session lasts around 90 minutes and you remain fully clothed throughout. It’s a warm, gentle and restorative session to help you to feel more at peace than you’ve felt for ages, yet alert, clear, focused and re-energised. The session lasts around 60 minutes. It’s a clearing and healing session that will leave you feeling lighter, stronger and more at ease with yourself and the world around you. A Reiki healing treatment for general or specific ailments, in a safe and nurturing space, where your cells are energised to speed up the healing process or help with chronic conditions. Reiki is the perfect way to complement your medication, as it doesn’t interfere with anything – only works to awaken and enhance the body’s own natural healing ability. The session lasts around 60 minutes. You remain fully clothed and comfortable throughout, in a safe and nurturing space, where all energy is gently focused on restoring your health.